Happy junk-filled weekend to you! This past week I have been busy! But not quite in the normal DIY sense. My sister announced she was moving, and her house was move-ready. What?! That inspired a very DEEEEEEP clean and selling precious junk! I now even have some empty corners in the house to boast about. Can you guess what sat in this trunk for YEARS? I also got a chance to unwind on the bike trail, but couldn’t keep up with a friend. That ended up being a huge blessing, making a little girl’s total day. And many nights to come I’m sure! And I enjoyed it more too! Moral? We all have our own pace / stories. We quite simply do us best, don’t we? 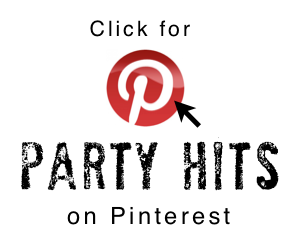 I also worked a little on the blog. I now have a ‘subscribe’ area in the navigation bar. I keep getting asked how one can subscribe, but because I don’t wish for one of those pop-ups, I am hoping this is the next best thing! There are actually 3 ways to subscribe, so now one click will give you all the choices. 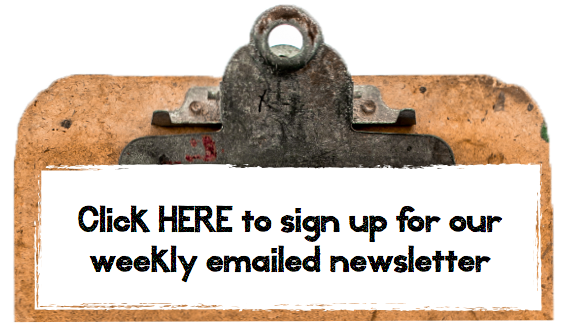 Subscribing to emailed blog prompts is the most efficient way to keep up. Intrigued? Check out the info HERE. This little chunk of perfection derived from dowdy cubbies found at a thrift store. When you see the before, you will have renewed faith for these little drawer systems! I love the warmth of burlap. 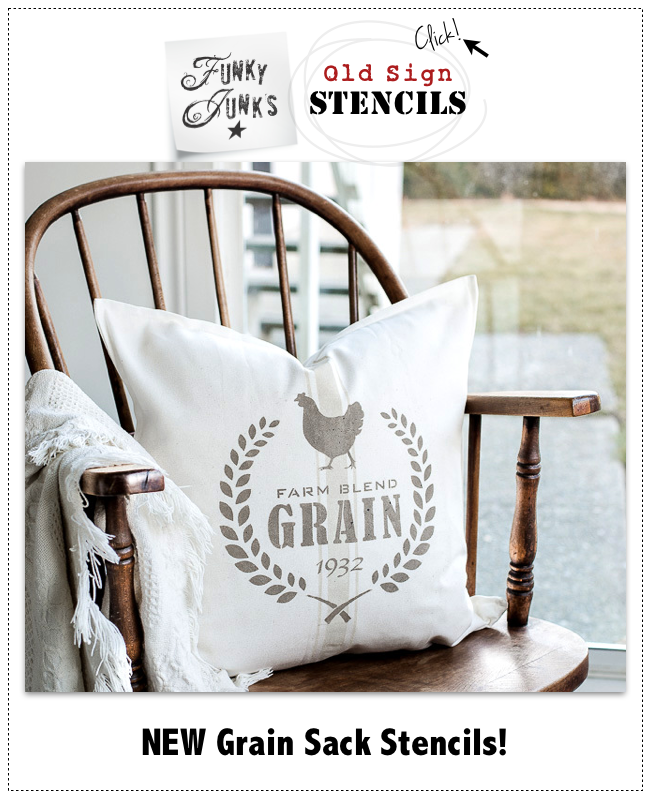 But add a little black stamped bean sack looking lettering to it, I deem it perfection! 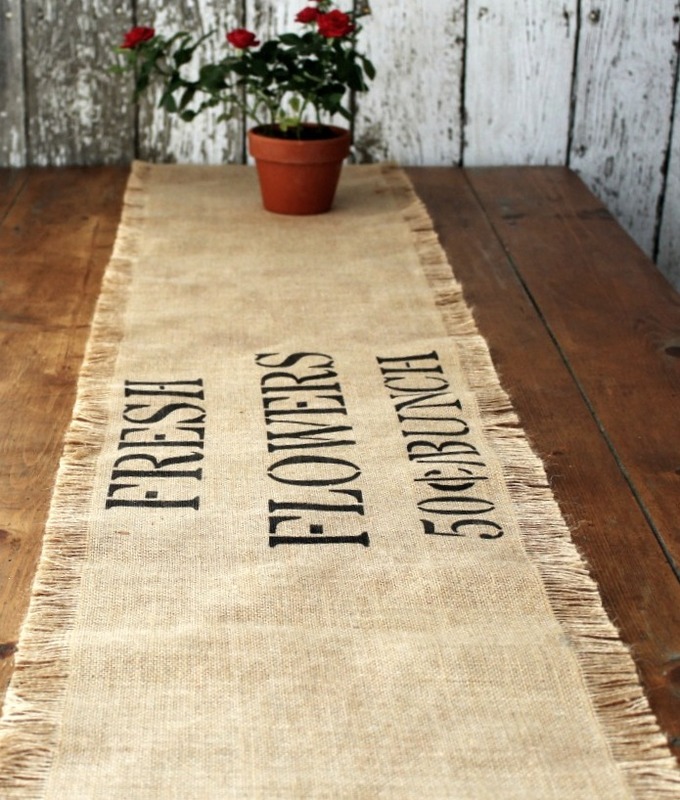 Love this table runner idea. This post showcases different designs too. Totally inspired! 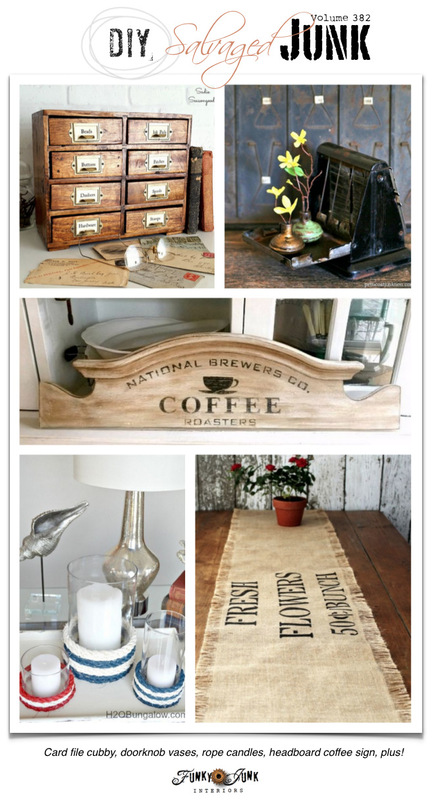 A chunk of old headboard got the PERFECT new life through this coffee sign. Goodness… even the curved letters work with the frame! Also adoring the distressed finish. 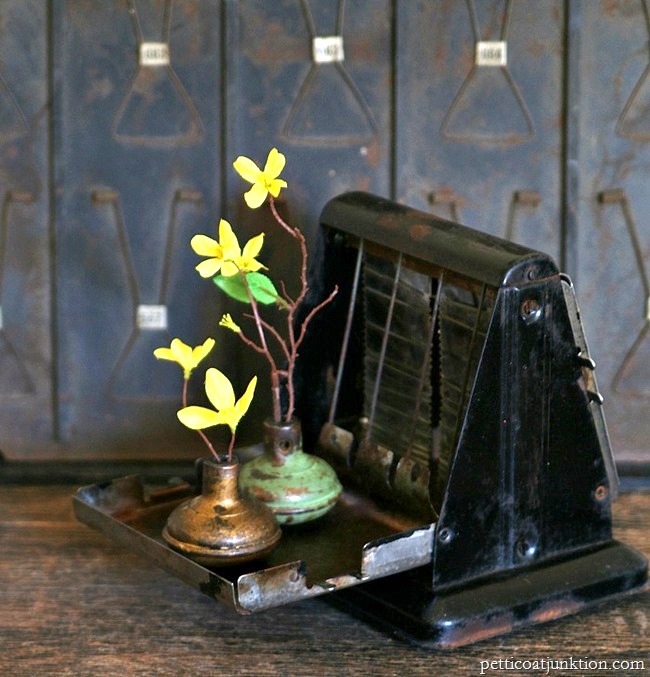 Forget toast… flowered doorknobs are served! Please help me understand why I can’t stop staring at this picture! It’s so vintage-y moody. And it makes me want to paint the little antique toaster I have downstairs and round up a couple of old, colourful doorknobs. Really cool look! 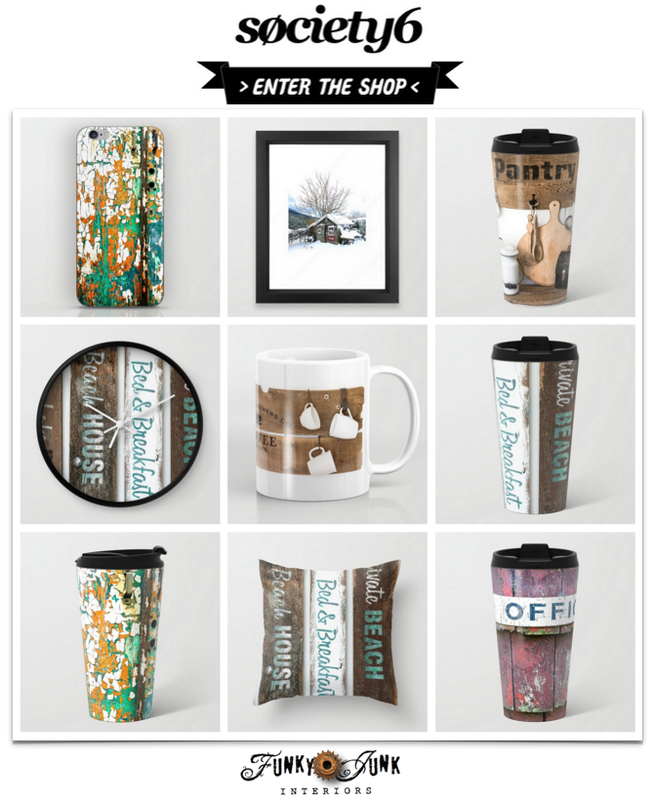 What a PERFECT beach or lake inspired touch to really… anything. A few rounds of rope will do it. Genius! Who else dreams of decorating a beach house just for the fun of it? This beautiful piece of art is a must visit. 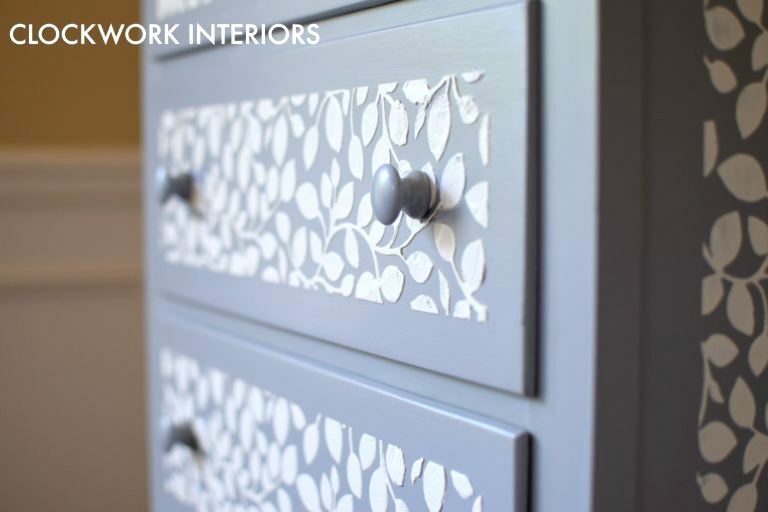 I love how the raised stencil was run along the sides of this dresser as well. 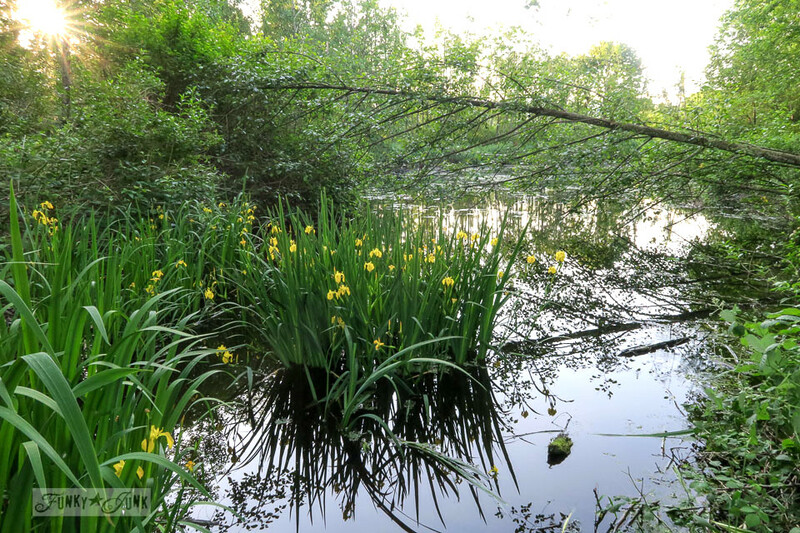 This is one stunning makeover! Has my mind racing, what can I raise with a stencil? Carlene is on the loose! When summer hits her yard, her junk comes out in full swing. And this super cool fun junk wall gallery hung from a fence is only a small part. Love how it’s such a great filler in front of a plain outdoor wall. Hi Donna, I can only dream about having actual empty space in my home. Your space is welcoming you more and more. 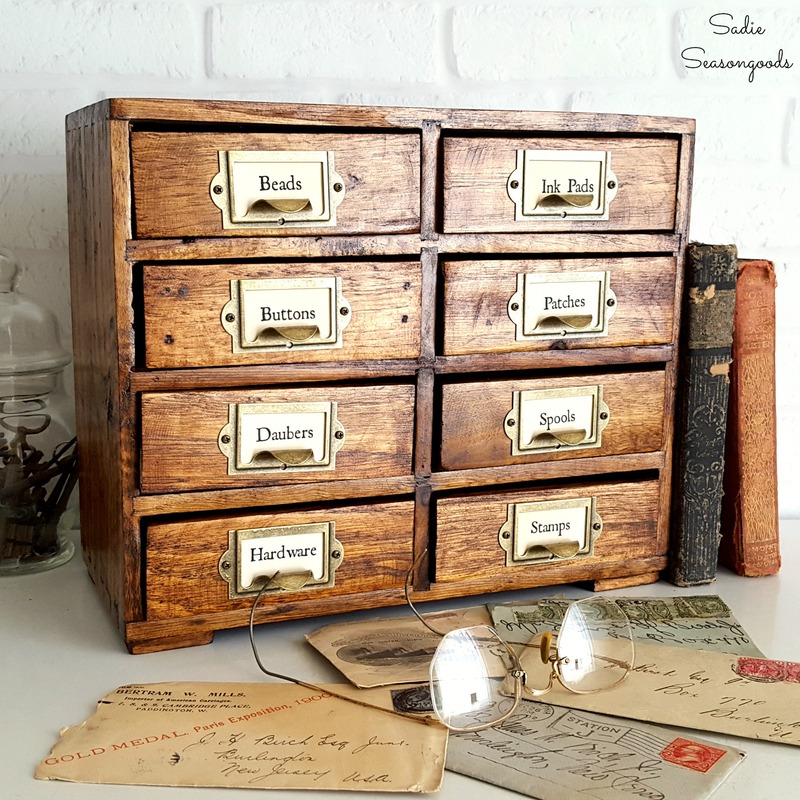 Thank you for your 382nd DIY Salvage Junk Projects this week. Always look forward to visiting and joining in. Thank you for the love on my cubbies! XOXO have a great weekend! Such a pleasant surprise! Thanks for including my raised stencil tutorial among your features this week. It’s appreciated, as is this week’s party. Hope you have a wonderful weekend! The little chest of drawers is beyond darling. So darling. And useful. What a lovely finished product. And, I have been so desiring to see the “nuts and bolts” of making tiered trays and appreciated that project. Lovely. 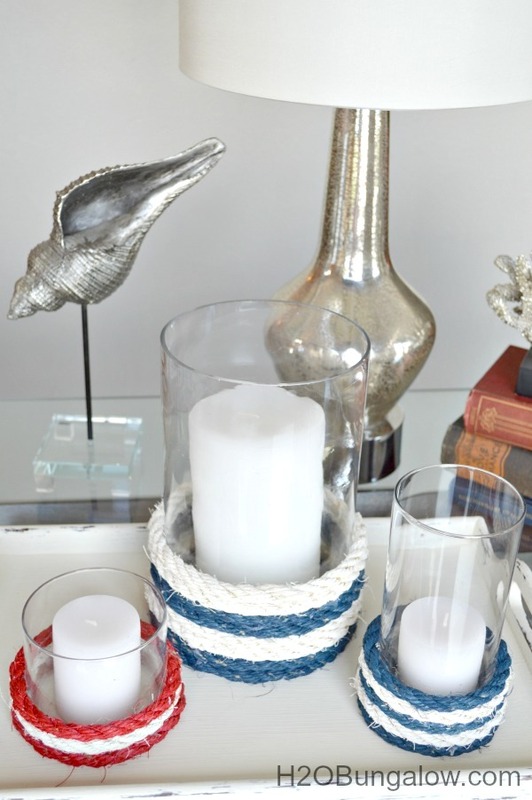 Thank you for featuring my Nautical Rope Candle Holders this week! I hear you Donna about not wanting one of those pop ups on your blog, they are the most annoying. Great idea adding it to your navigation bar. Thanks for the party and have a great weekend. 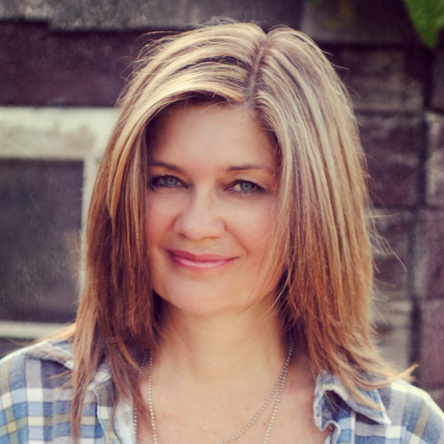 Thanks so much for the feature, Donna! 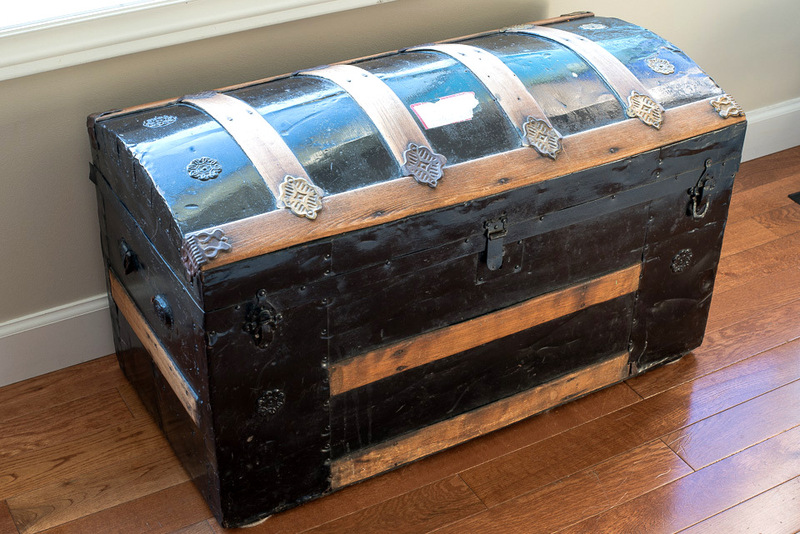 That old trunk is gorgeous – what was in it? Thanks for the feature Donna. You rock! Hope all is well with you. Hi Donna and here I go again. My computer froze and I lost my first attempt to write. Thanks so much this post. So many, many wonderful creations. I know I will have much time in dreamland. The trunk you are giving away, is that the one that you would put your Christmas trees in in front of the window? Ah, such a nice trunk. I find it soooo hard to get rid of items I have an attachment for. And believe me there are quite a few. Thanks so much for always being there with your parties on the weekend. I really love them. Take care! 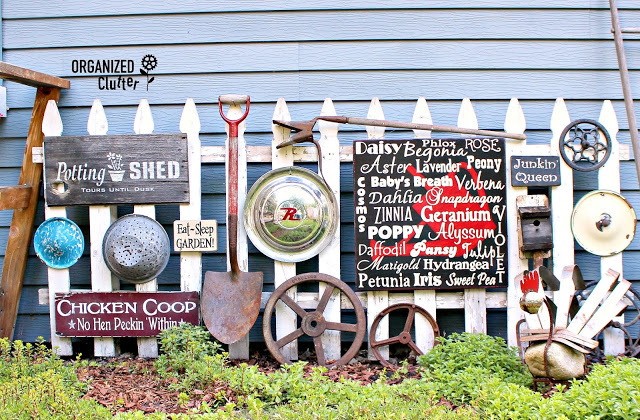 Thanks so much Donna for featuring my gallery wall fence!